I recently wrote an article on contemporary Aboriginal art and artists for Canadian Cowboy Country Magazine, and the depth and variety of work that is available in this genre of art is incredible. I have been aware of, and wildly impressed by, the incredible talent of both historic and contemporary Aboriginal artists (see my piece on Alex Janvier here) for as long as I can remember, but what surprised me was some of the traditional techniques that are still employed to create art that even I had never heard of. For example, did you know that incredibly intricate designs are made on birch bark by folding up this fragile material and then biting it? Or that traditional embroidery on clothing and moccasins was done with moose hair (not glass beads) using a technique called tufting? The tradition, work, and talent that went into creating historic pieces — and goes into new contemporary creations — are coveted, both by private collectors and museums all over the world. Living in Canada, I have had the privilege of having fairly easy access to this work all over the country. Work by the "Indian Group Of Seven" is showcased in art galleries regularly, there are totem poles in public spaces, and even fashion designers are using traditional colours and language in their clothing. 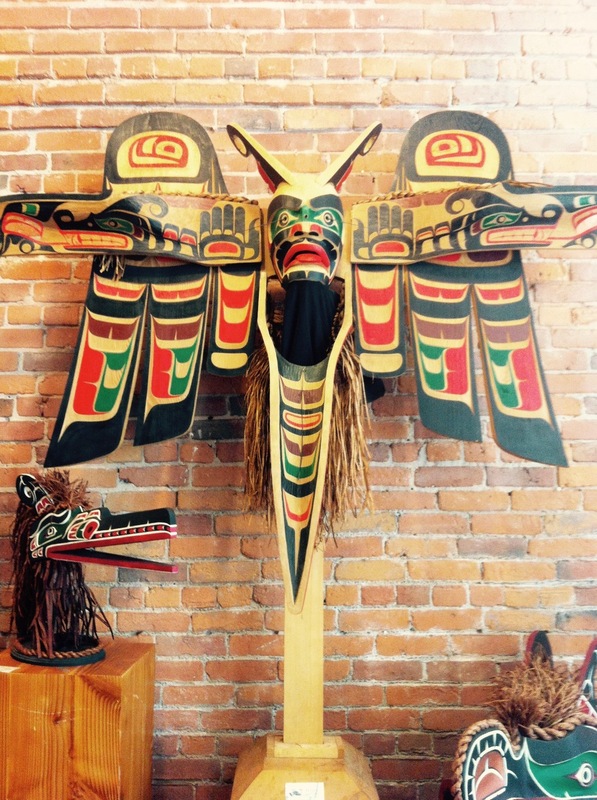 My personal favourites are the stunning carvings, masks, and sculptures that are created by Haida artists from the Pacific Northwest Coast of North America. According to the Canadian Museum of History, "The decorations on the objects they created were statements of social identity, or reminders of rights and prerogatives bestowed on their ancestors by supernatural beings, or of lessons taught to them through mythic encounters with the animals, birds, fish or other beings whose likenesses were embodied in the crests passed down through generations." Whether you prefer paintings, sculpture, prints, masks, clothing, or something completely different, you are sure to find an Aboriginal artist somewhere in North America that is creating a masterpiece guaranteed to take your breath away.